Shooting Stars is a must for any silent cinema fan. Offering a rare insight into the workings of a 1920s film studio, there are location scenes, comic stunts and an on-set jazz band which demonstrate just what life was like in the early days of cinema. Despite the directing credit going to veteran filmmaker A.V. Bramble, Shooting Stars is universally acknowledged to be the directorial debut of rising talent Anthony Asquith. Asquith wrote the original story, deliberately choosing the subject of movie-making itself as his theme, and the dynamic cinematographic style and professional approach to the design and lighting was introduced by Asquith himself, based on his experiences at Chaplin’s studio. The script is sophisticated, incorporating ironic counterpoint and containing very few inter-titles, a trope of Asquith’s work. 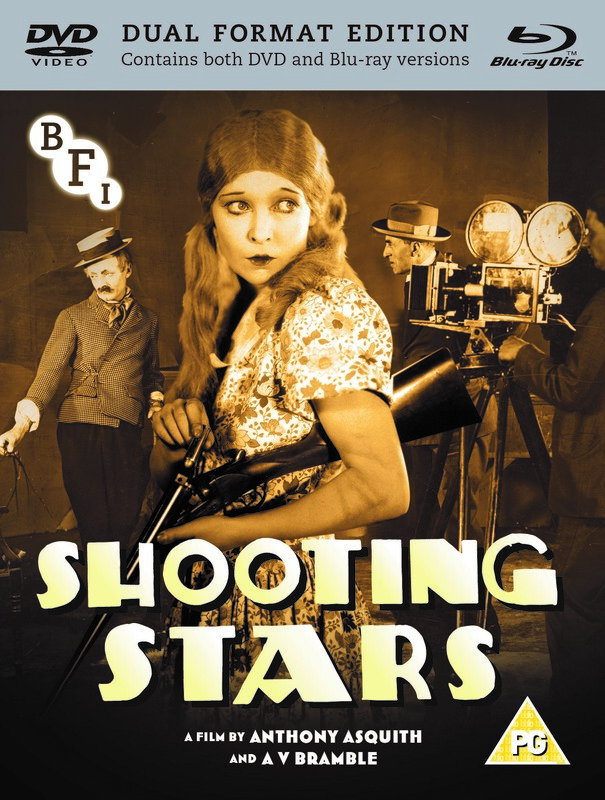 Presented on DVD and Blu-ray in a new restoration by the BFI National Archive, this key film of the silent era marked a step change in the quality of British features on a par with Hitchcock’s work at Gainsborough. Anyone enamoured with the glamour of film will relish the knowing humour and style of this long-unseen classic.